When sales managers think about keeping their sales teams motivated, they often make a critical mistake. Most of them immediately think of money, and most assume that the entire team will be motivated by the same things. In truth, this attitude is a mistake. While some individuals are driven completely by financial rewards, other incentives often play a role as well. In fact, spending the time and energy in coming up with that one unique, perfect thing that the whole team will embrace will likely backfire. While some team members may be motivated, your plan could serve to deflate others. Having a multi-dimensional point of view on your sales team—understanding both individual motivations and being open to unconventional rewards—will help you develop the best way to move your team towards your sales goals. At Engage Selling, we’ve developed some specific tactics to help you create a bonus plan that is tailored to your sales organization, will enhance your standard compensation plan and that will ensure that the individuals within it are being additionally rewarded in a way that suits them personally. Ask Your Team What They Want. 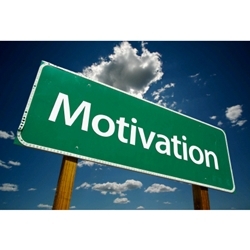 When it comes to sales, money and bonuses are often the go-to motivators. But what happens when money comes out of the equation? For starters, stripping cash out of the motivation options gives you some fresh knowledge about the individuals on your team. Ask the people on your team what kind of bonus or recognition they’d want for great performance if there was no money in the budget to reward them. You may be surprised how many creative bonus opportunities come up. While some employees might be motivated by a day off, others might simply seek recognition or praise. Understanding what each of your employees seeks as a reward for great performance—aside from their paycheck and bonus—helps you to relate to them all year round. Be Consistent. If you’re thinking about new ways to motivate your sales staff, the first place you may go is the compensation plan. We’ve already learned that your team is motivated by more than money, but when it does come to compensation and bonuses, it’s essential to keep consistency in place. In other words, stick to your promise. People typically go into sales because it offers unlimited earning capacity in a chosen field. You want to make sure that you have a fair and consistent compensation plan that rewards people on a monthly basis. One sure way to demotivate your team is to start changing or tinkering the compensation plan throughout the year. Test the plan you’re considering, ensure that it works and then roll it out and stick with it for the year. If you’re concerned about aspects of your plan, give it a chance to work in the field before making changes. If you’re constantly making changes, you’re never giving it a chance to work and your sales reps have very little chance to react to the goals being set and the way they’re being paid. While on the surface, compensation plans are purely analytical and monetary, they’re actually quite emotional for sales reps. When your team sees their compensation plan being changed throughout the year, they tend to assume the company is looking for ways to reduce their pay or pulling a bait and switch by setting goals and then changing the reward. Recognize It’s About More Than Money. As salesleaders, we’ve all seen it: the sales superstar who leaves a team despite his or her high earnings. Everyone may scratch their heads over the departure, but if asked to think about it, most of us will acknowledge that the superstar left because they weren’t being recognized for their contributions to the company. Feeling as though you’re good at your job and that the company is benefiting from your work is essential to workplace happiness and loyalty. Cultivate loyalty within your team by ensuring you’re recognizing good work, and you’ll find you’re motivating the team as well. One simple and no-cost way of doing this is to celebrate the success of a big win. Take a few minutes to send the team or the company an email recognizing the individual and the deal they just won, or showcasing their contributions and success. Acknowledging success in front of peers costs no money and little time, but makes people feel fantastic. And when they feel fantastic they will stay, be motivated to sell more and thrive. To help with this process we’ve developed a worksheet that will help you create a motivation plan for your sales teams that takes individual motivators into consideration and allows you to focus on more than just monetary rewards.